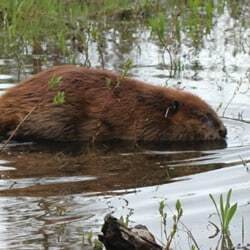 No matter what your beaver problem is, we provide professional assessments and installations of beaver deterrents and beaver control devices such as beaver dam pipes, road culvert and dam spillway protection devices, and more (aka beaver deceivers, baffles, etc.). See below. We guarantee success! 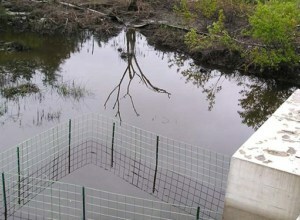 If a roadbed is high enough that a small beaver pond does not pose a threat, the combination of a small culvert protective fence and a Flexible Pond Leveler™ system may be the best beaver control method. To a beaver, a road bed with a culvert pipe probably looks like a hole in a large dam. 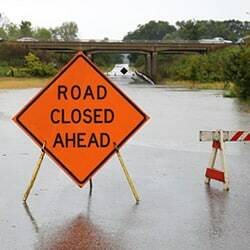 Since beavers have an innate ability to plug leaking holes in their own dams, they are also very good at blocking water flowing through road culverts or any water drainage system. 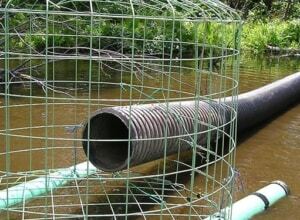 Where flooding from a free-standing beaver dam threatens human property, health or safety, a Flexible Pond Leveler™ pipe system can be an extremely effective solution. 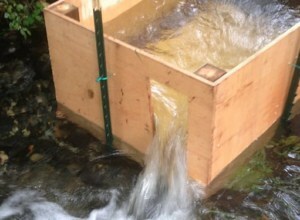 Beaver co-evolved over millennia in the same freshwater streams as Atlantic and Pacific salmon. 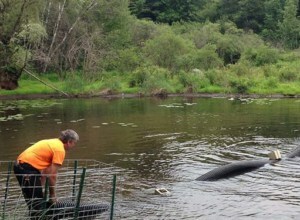 Beaver ponds increase salmon populations. Both beavers and salmon are critically important Keystone species who create tremendous benefits for myriads of other species.